Towards the end of 2017 we had a meeting in a Kings Cross tapas bar, at the meeting we decided that in 2018 we wanted to get out of London and see what conversations were happening about queer feminism and film across the UK. Almost at the same time, we were fortuitously approached by the Independent Cinema Office (where I also work) about collaborating on a nationwide film tour in 2018. We got to work on exploring ideas for an early blueprint that marked three significant moments for women in the 20th century. Firstly, the year 1918 and one hundred years since the Suffragettes’ stunning campaign to demand the partial vote for women. Secondly, the 50th anniversary of May 1968 and the Women’s Liberation Movement that grew out of that revolutionary moment, and thirdly 1981, the year the Greenham Common Women’s Peace camp in Berkshire was set up, a visionary example of non-violent lesbian and queer feminist peace activism. With the support of the BFI, awarding funds from The National Lottery, we received funding from the BFI Audience Fund. We launched the tour on 1st May, deciding to include nine films (a mix of documentary and fiction) programmed with as many shorts as we could afford. 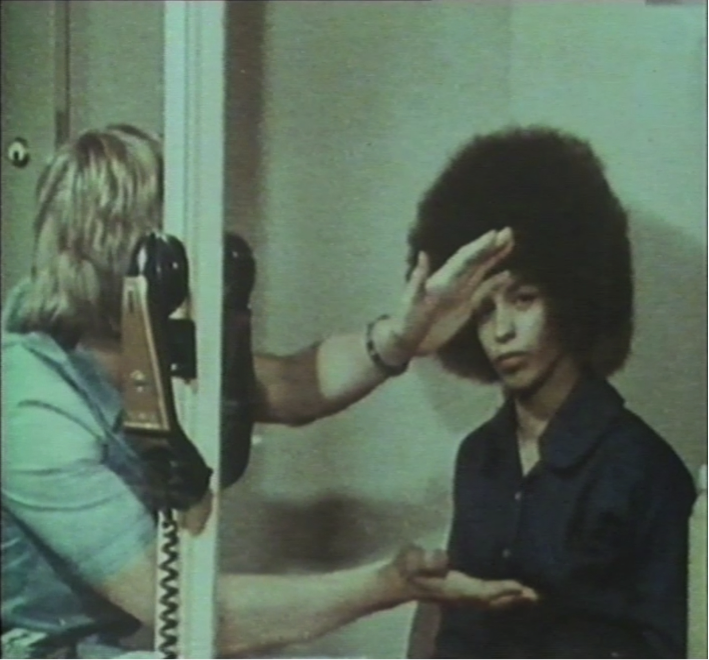 We took feminist film theorist Laura Mulvey’s idea of montage programming, whereby two films are placed together in juxtaposition to create a new meaning. Spanning a timeframe of 1966-1991, our aim was to counter the mainstream masculinist narrative of May 1968 and to explode some of the mythology around that time. 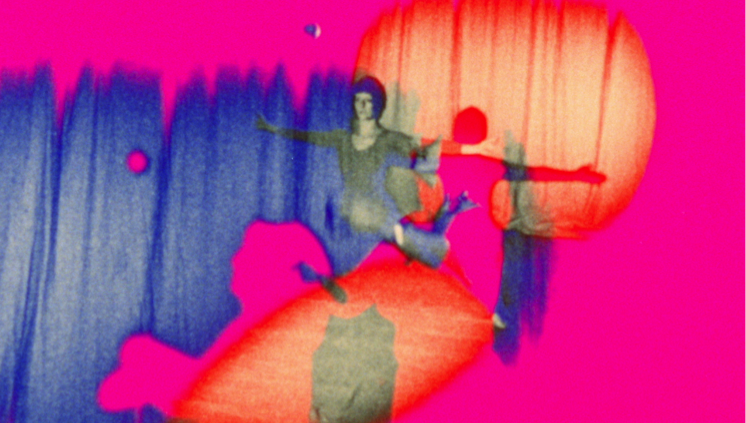 We included films by British and Irish feminist filmmakers including Laura Mulvey, Pat Murphy, Pratibha Parma as well as VALIE EXPORT, Mai Zetterling, Agnes Varda and Chantal Akerman from Europe, Vera Chytilová from the Czech Republic and Greta Schiller from the USA. Image credit: Vera Chytilová, Daisies, Czech Republic, 1966. Image courtesy of Second Run. May ’68 in France expressed a fundamental version of freedom: not freedom to succeed, but freedom to revolt. Political revolutions ultimately betray revolt because they cease to question themselves. Revolt, as I understand it – physic revolt, analytic revolt, artistic revolt, refers to a permanent state to questioning, of transformations, an endless probing of appearances. 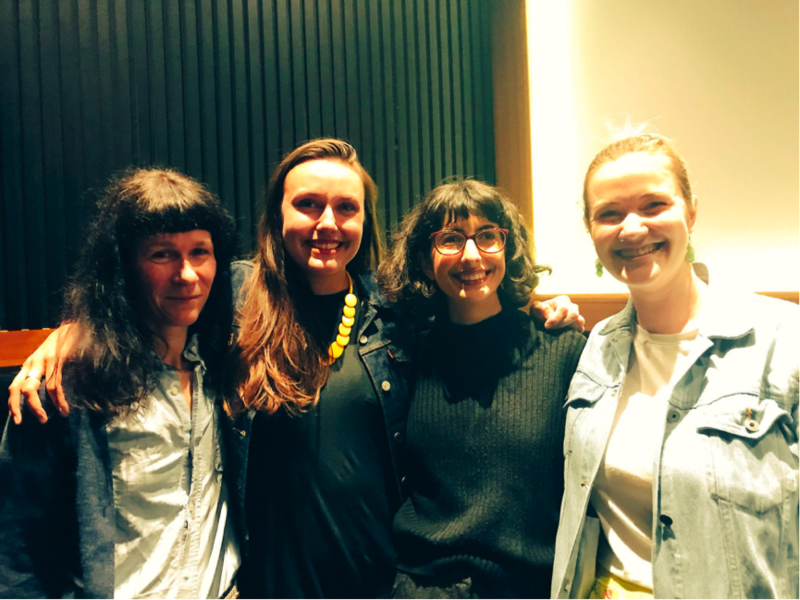 Working with the incredibly supportive and always brilliant Independent Cinema Office, we decided to focus our attention on working with six flagship cinemas across the UK to host post screening panels featuring local feminist speakers and activists. As this is a feminist film project, we initially approached venues run by women or had women programmers as part of the team. We are now mid point through flagship screening events with brilliant, inspiring discussions already taken place in Glasgow, Sheffield, Nottingham. 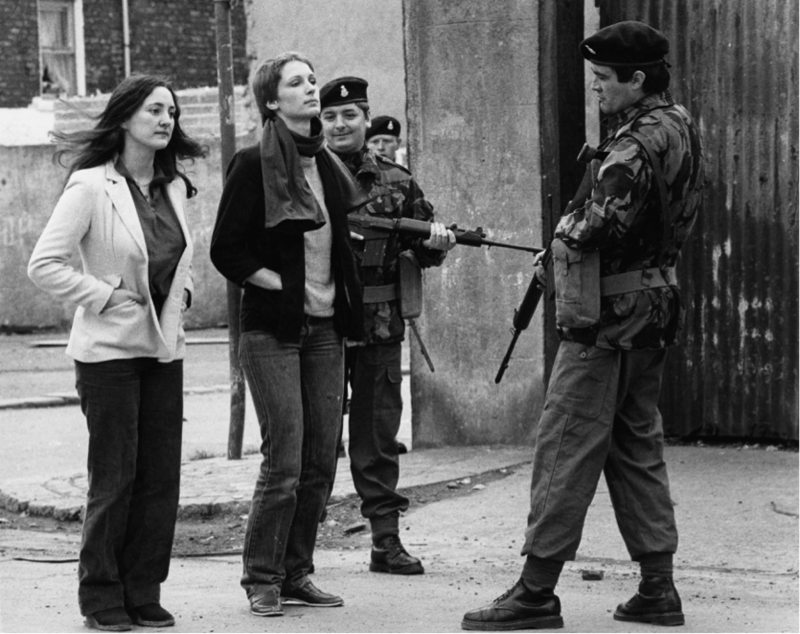 Now as August approaches we are looking forward to visiting Cardiff, Bristol and closing our flagship screenings with the London Feminist Film Festival featuring a screening of Pat Murphy’s 1981 Irish feminist drama Maeve at the Rio cinema in Dalston. Image credit: Pat Murphy & John Davies Maeve, Ireland, 1981. Image courtesy of BFI Stills. We have also been very active online via Instagram, Twitter and Facebook and off line through regional press and radio and with local intersectional feminist organizations, activists, journalists, film clubs and collectives to build momentum on the tour screenings and discussions as well as sharing contextual information on our filmmakers and their films. We made a special Revolt, She Said zine (which is free to download on our website) with specially commissioned essays by friends des femmes on some of the key films. We also have stickers and postcards too (merchandise matters!) which has been made available at each venue. To mark the century of Women’s suffrage, Isabel Moir, one of the ICO programmers has been diligently working with regional film archives to find out what material they might hold on early 20th century women’s liberation, as well as the Women’s Movements of the 1970s and 1980s. So far, due to the high costs involved or issues over copyright, it has been hard to access any archive material but we are hoping that we might be able to show some of this precious women’s archive moving image history in August. The response from cinemas and audiences has been incredible. We have smashed our target bookings with 30 cinemas coming onboard and over 85 screenings confirmed mapping Revolt, She Said across the UK from Belfast to Bo’Ness to Cornwall. We give a special CdF feminist salute to three trailblazing cinemas Eden Court in Inverness, Filmhouse in Edinburgh and Regents Street Cinema in London who taking the entire tour! We have also been invited to bring the tour to San Francisco in 2019. 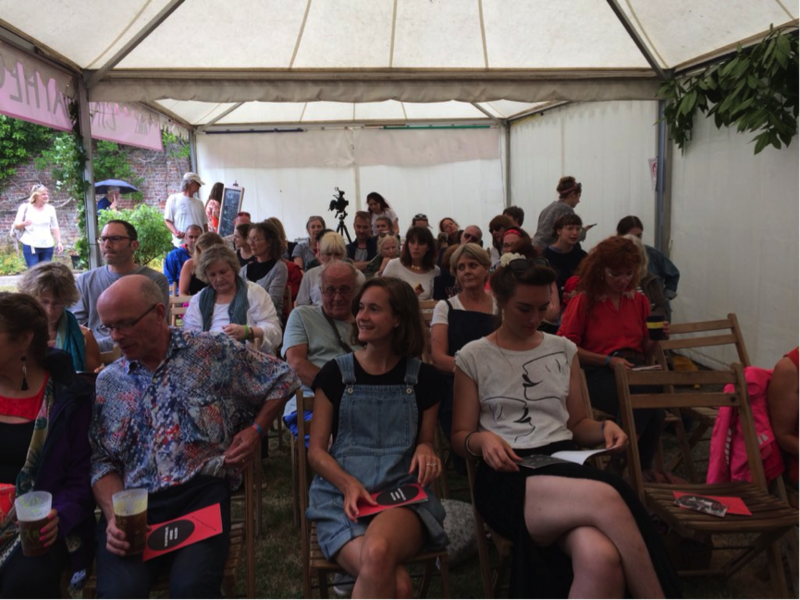 Image credit: Revolt, She Said audiences at Port Eliot Festival, 27 July 2018. Image courtesy of So Mayer. One of the most important aspects of our work on this tour is its legacy for future queer feminist programmers, curators and audiences. There were many films that we would have liked to include but because of issues of rights, materials, preservation or cost it just was not possible. However, we are proud to say that A Place of Rage, Before Stonewall, Carry Greenham Home, Maeve, Riddles of the Sphinx are all now available on DCP in the UK for the very first time thanks to collaborations with distributors Cinenova, Contemporary Films, Peccadillo and the BFI. Image credit: Pratibha Parma, A Place of Rage, USA, 1991. Courtesy of Cinenova and Kali Films. Although we will be very sad to finish the tour on 31st August, we leave with a call to arms for the archiving, restoration, digitization and accessing of radical films by women, especially from the Global South, so that a fuller film history can be achieved. Revolt, She Said: Women and Film after ’68 ran from 1 May – 31 August 2018. September is Scalarama film festival month and National Museums Liverpool are taking part with a programme of free film screenings across our Waterfront venues! Here, International Slavery Museum Young Ambassador Laila Waraich talks about her experiences working with Scalarama film festival this Summer and being a young film programmer. The first stage in our planning was a workshop led by Monika Rodriguez and a team from Scalarama Liverpool. During the session, we discussed what our ideal cinema would be like. Although most of our ideas weren’t quite achievable; ranging from a screening on a white sandy beach to watching the film in our pyjamas in bed, it helped me to understand how the environment you watch the film in matters to how much you enjoy it. We all realised there were lots of things we didn’t like about conventional cinemas, from sticky floors to ear-ringingly loud audio, and we decided to cut them from our event. The thing I liked best about designing our own screening was the freedom to create a cinema experience we thought our target audience would enjoy most, and would have the largest chance of passing across our message. However it is also a big responsibility to host a public event that is both enjoyable and impactful. Monika explained to us the importance of an introduction to an audience and how to lead the Q&A session we had planned. It was important for us to have done our research on the film in order to steer the discussion and get our audience talking. Monika reminded us that our cinema-goers would be just as nervous to speak to the room as we were! Another important decision we made with our audience in mind was the choice of film. We researched lots of options that we felt were both entertaining films but also featured BAME characters in leading roles. It was important that the films contained positive representation and didn’t fall into the common and dangerous trap of lazily stereotyped people of colour that we came across a lot, even in recent Hollywood pictures. 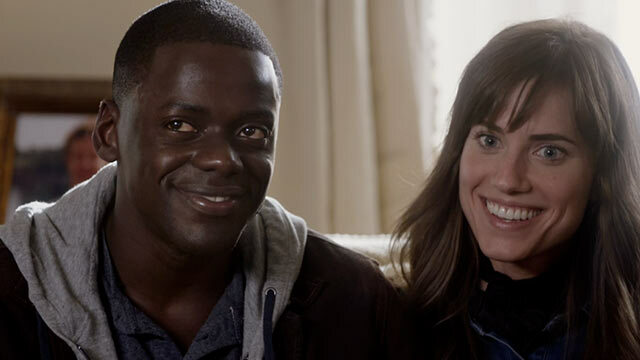 Among the options discussed were Belle, a period drama about a mixed-race girl; Moonlight, 2017’s Best Picture winner; and Loving, about an interracial couple’s famous battle against the law. 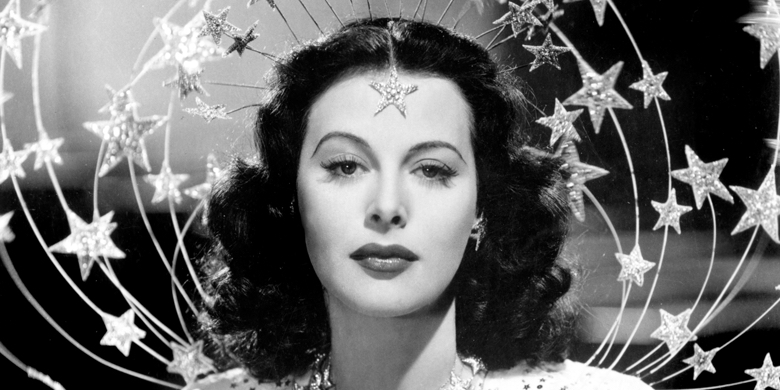 When looking for films we were conscious of the need for it to be an entertaining, engaging film that would appeal to the general public, as well as ‘important.’ I found this aspect of film programming very interesting; the programmer has to balance what is likely to be popular with the audience as well as personal preference. This means it is not always the best idea to pick your favourite film or an obscure, vintage, foreign language documentary when planning a screening. Eventually after several rounds of tense group votes, it was either Black Panther, the popular Marvel superhero blockbuster with a mainly black cast, or Get Out. Choosing the winning film was even closer and more difficult, but eventually we decided Get Outfeatured both clever social comment and exciting action, making it perfect for us. In the run up to the event we began a marketing campaign, another aspect of film programming that Monika stressed the importance of for a successful event. Other members of the team did extra research, wrote a promotional blog post for the ISM website, while I took part in writing web copy to further promote the film. 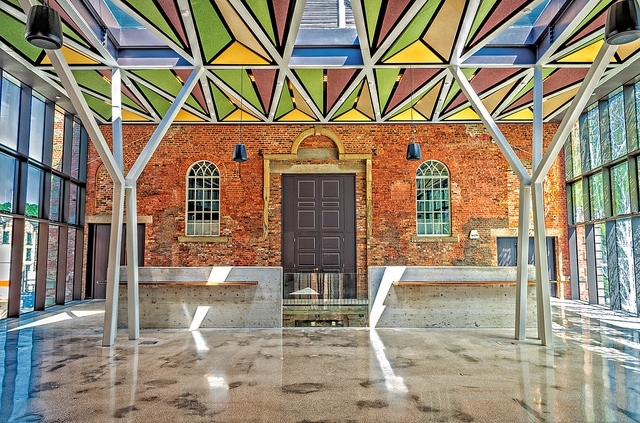 I really enjoyed this because I gained experience of how to market public events from the inside, under the guidance of Education team at International Slavery Museum. As a group, we also developed ideas for a poster for our event, which were then passed on to Toucan Tango, a Liverpool print company, who turned the design ideas into a beautiful poster. It was fun to see our ideas brought to life and made into artwork that was specific to our project, with the detail featuring symbolism of slavery taken from objects in the museum’s collection. On the 16thJune, we hosted the screening at the Martin Luther King building on the Albert Dock. After I delivered a short introduction welcoming visitors and providing some background information about the film, the lights went down. 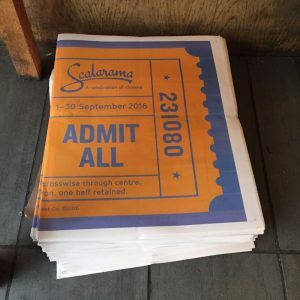 The Scalarama workshop was very useful when I was choosing what to say in my introduction, as it helped me to understand how different information the audience does or does not have before watching a film changes their experience of it. After the film, the whole ambassadors group as well as Dr Richard Benjamin, the head of the museum, sat on a panel for a Q&A style discussion with the audience. At first the discussion centred around our opinions of the characters and talking points about the film, such as an alternative ending, before we moved on to issues of race relations in the UK compared to America, where the film is set. The fact that watching the film created the kind of conversation about race that it aims to do, at our screening, was really positive and exciting. It also helped to convince me that our marketing of the event was successful, as we ended up with a room of like-minded people having an interesting conversation. As well as the film, there was also a handling table of objects from the museums’ collections relating to the legacies of slavery covered in the film and historical representation of people of colour, with Ambassadors on hand to explain the significance of items to the visitors. Finally, we handed out screen-printed copies of the limited edition poster to all the guests as a reminder of the occasion.